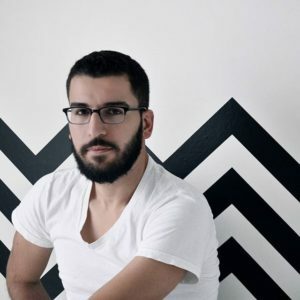 Tristâme is the musical project of Syrian-born, New York City-based singer/songwriter, Rami. Rami’s somber voice, reminiscent of Nick Drake, resonates within a careful alchemy of brooding introspective folk and bright melodies harkening back to 90’s alternative rock outfits like The Cranberries. Although the first writing sessions for Tristâme started in 2005, the recording began in December 2006, with the first full-length album, “Unraveling Horizons,” finally seeing the light of day in July 2009. In April 2013, Tristâme released a four-song EP called “Common Ground,” as a charitable effort on behalf of refugees fleeing the ongoing violence in Syria. With influences ranging from doom metal, classical music and traditional folk, the music of Tristâme can best be described as atmospheric, emotive, truly personal and often melancholic.